You might think that a writer would have a lot of productive writing time during a hurricane because she’s stuck inside and needs entertainment. Nope. Hurricane Irma is still 24 hours away from me, and I haven’t written a word since Tuesday. So much preparation goes into surviving a storm like this. We don’t even live on the coast of Florida, and yet it could be a category two or three by the time it gets to us, and it is expected to bring 24- 48 hours of rain. What will I be doing all that time? Watching the Weather Channel and fretting. Because. I’ve already watched Jim Cantore hustle here and there around Florida, trying to be where Irma makes landfall. A lot of times I just turn off the sound and pay attention to when they show the maps. Because all the rest is just talking. The Vikings didn’t get much warning about storms. How would you like to brave a North Atlantic storm in a small open boat? Sound appealing? I don’t think so. A lot of ships were lost. What’s amazing is that some weren’t. 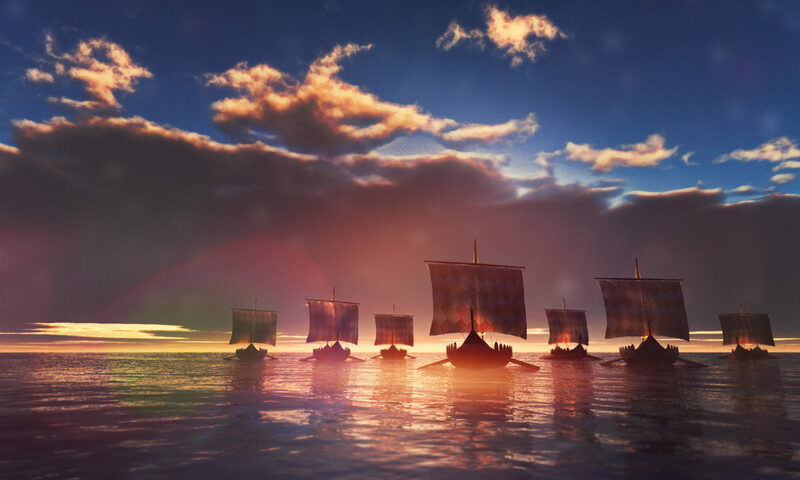 In the tenth century, Eirik the Red left Iceland with 500 people and 25 ships on his way to Greenland. Only 15 ships made it. That’s a lot of loss of life and property. If you were on one of those ships, you’d have at least a 40 percent change of dying en route. If we sent a mission to the moon, that would be an unacceptable risk level to start with. You think about these things during the lead up to a hurricane.